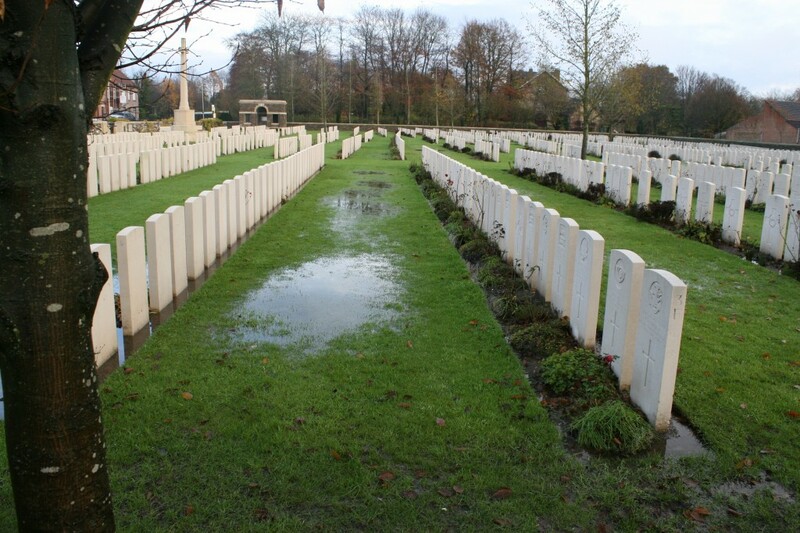 A wet afternoon, just a few hundred yards east of the Menin Gate, finds us at Menin Road South Military Cemetery. 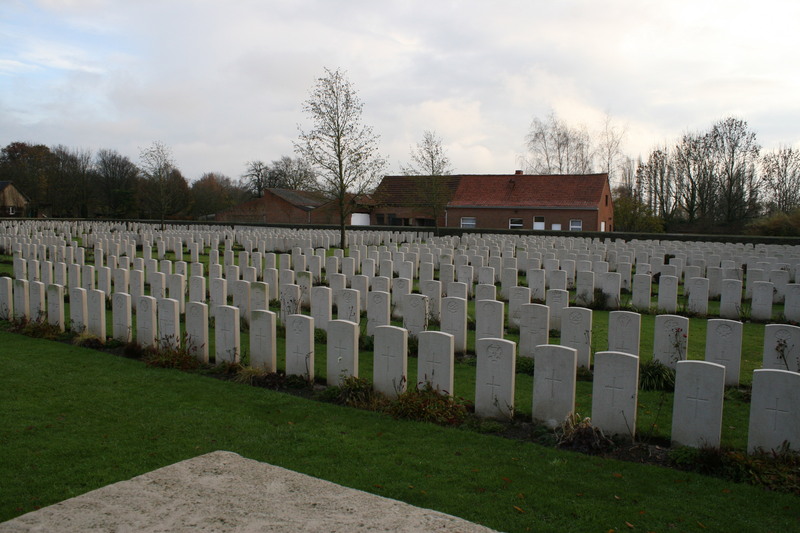 The cemetery was begun in January 1916 by the East Surrey and the South Staffordshire Regiments and was used continuously until the summer of 1918, after which the front lines moved far to the east as the Germans retreated during the final few months of the war. 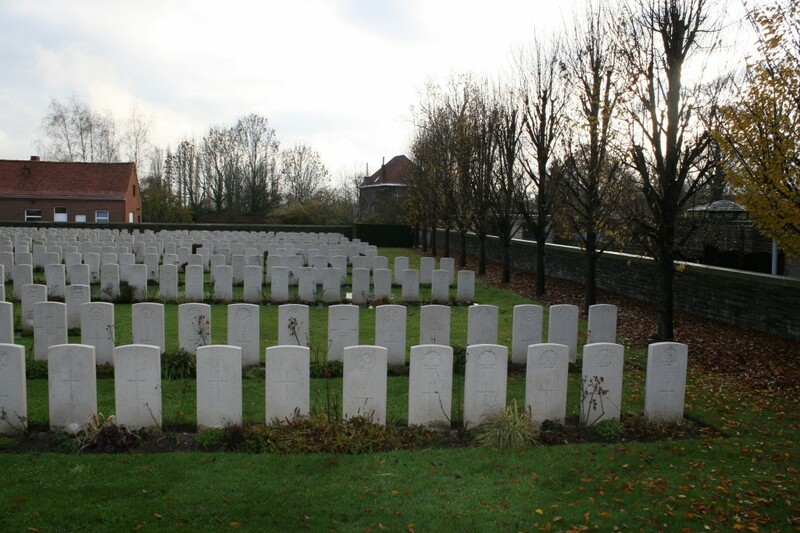 Unlike many of the other cemeteries we have visited recently, this one had remained in British hands throughout the war; the German advance in the spring of 1918 had got no further than Hellfire Corner, a short distance east of here. An Advanced Dressing Station was located nearby, and many of the men who died there are buried in this cemetery. …and in Plot II Row A1. 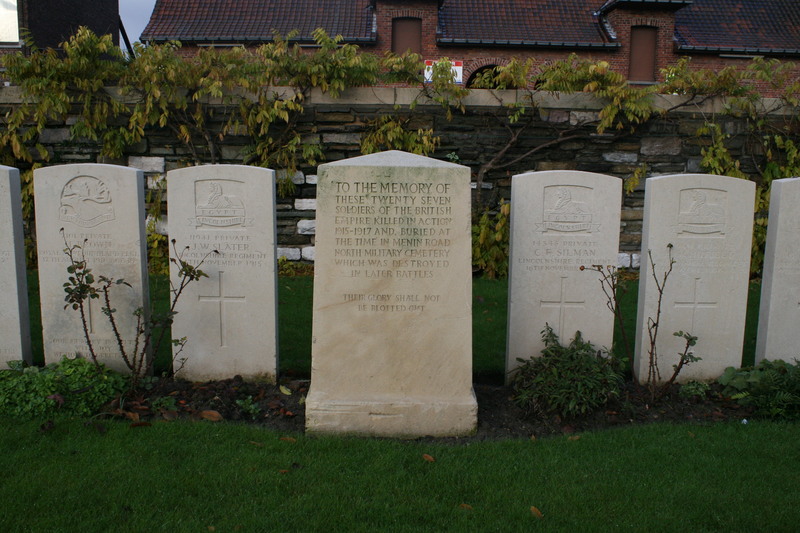 Note the photograph left at the base of Private Walters’ headstone in the centre of the picture. 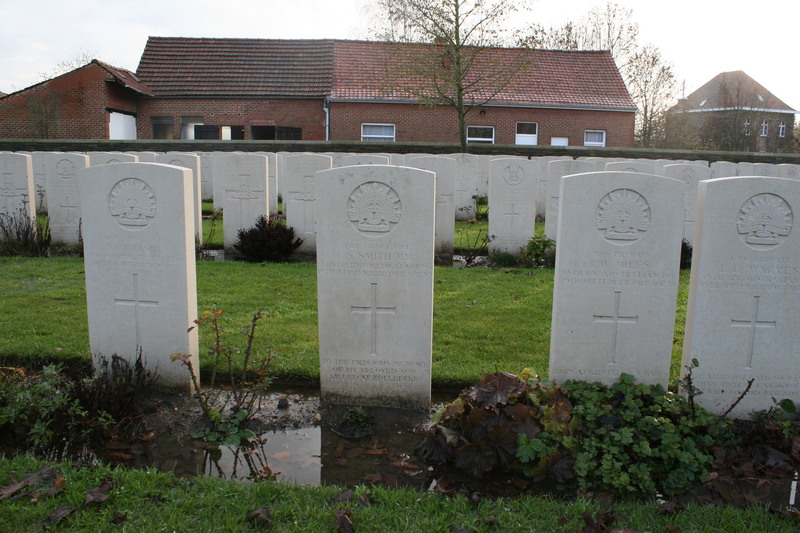 The lone grave of Serjeant W. Brook (see below) with the headstones of Plot II beyond. 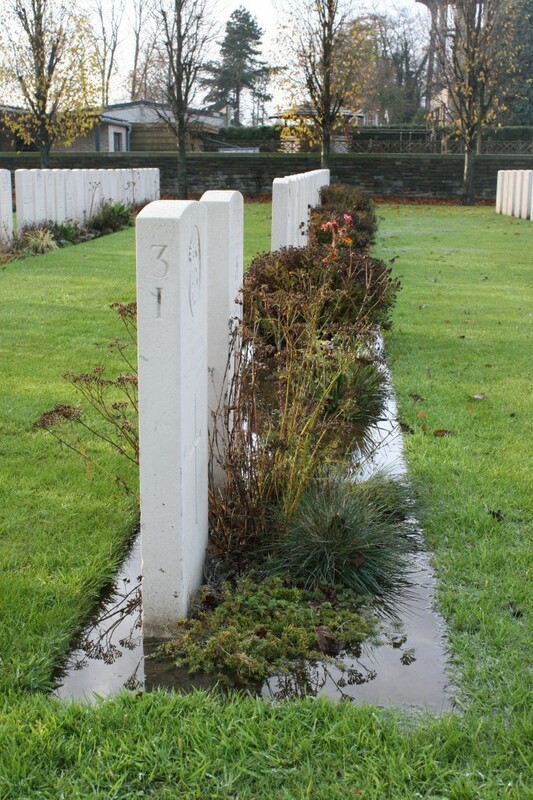 After the war many isolated graves such as this were brought here from the battlefields to the east. 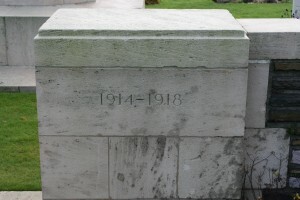 The Stone of Remembrance stands in the north west corner of the cemetery at the head of Plot III. 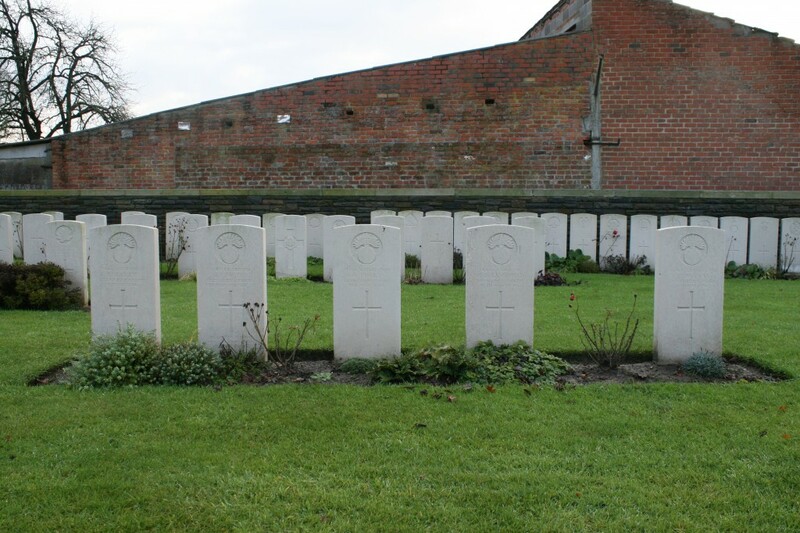 The cemetery plan, courtesy of the CWGC, shows you that there are just three, albeit large, plots here. Looking east towards the Cross of Sacrifice from the Stone of Remembrance. Plot III is to our right, and the graves we have just visited are those nearest the camera to the left. 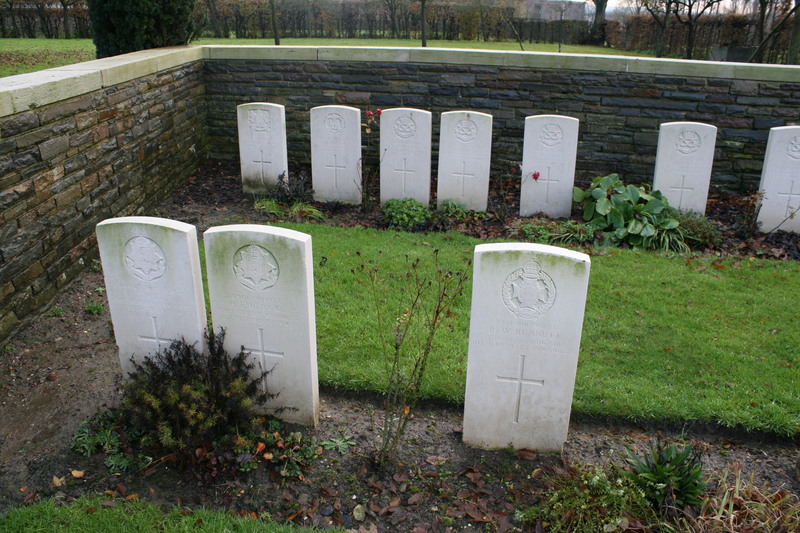 Beneath the hedge you can see a row of special memorial headstones, and these we shall visit next. 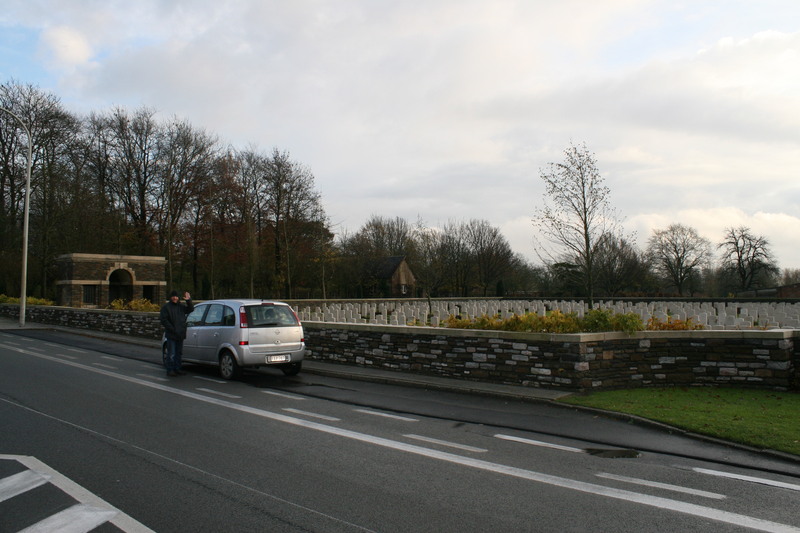 Above & following photos: On either side of the cemetery entrance, two Duhallow Blocks commemorate 54 men who were buried in Menin Road North Military Cemetery, once situated on the north side of the road here, but whose graves were lost in later fighting. 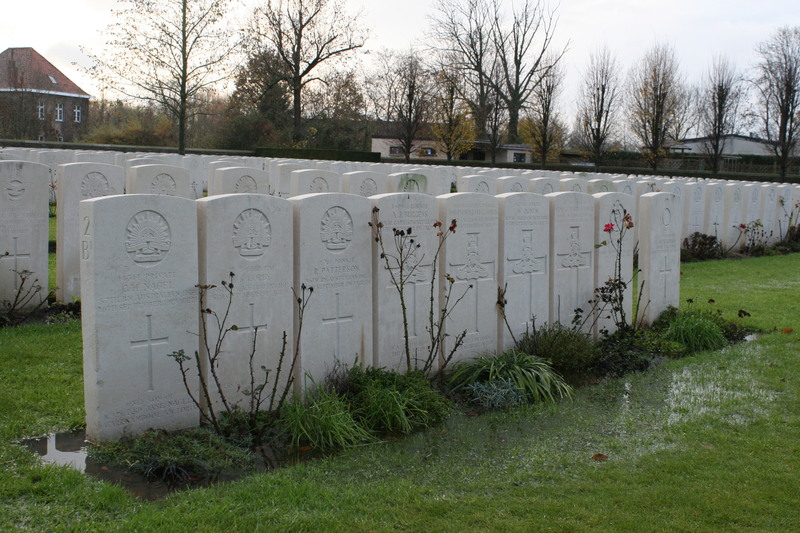 The headstones behind remember each man by name. 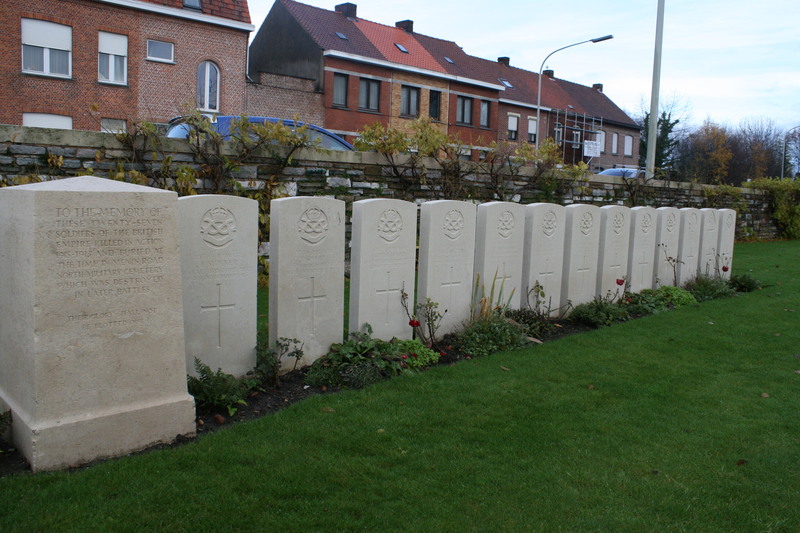 Used by field ambulances from May 1915 to August 1916 (and again, briefly, in 1917 & 1918), Menin Road North once contained 130 British, Canadian and Newfoundland burials. 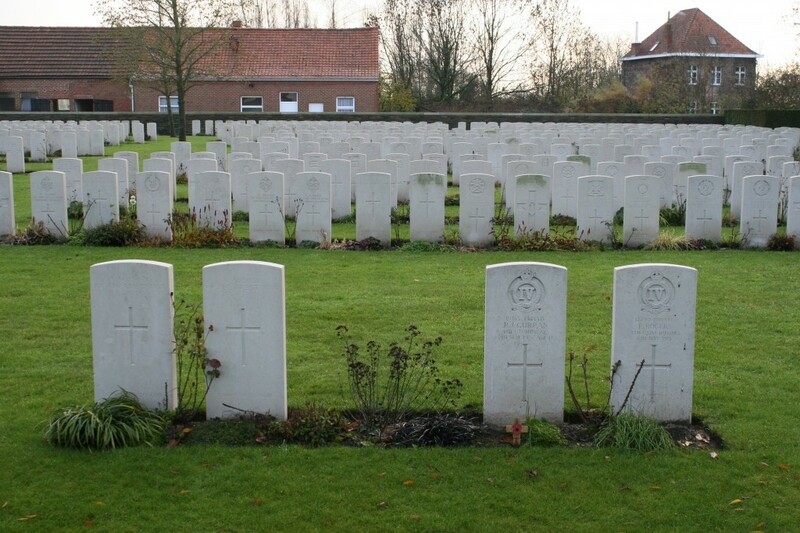 Note the three Newfoundland Regiment headstones in the picture above left. View from near the north east corner of the cemetery looking west along Plot I Row T, with Row U to the right and one of the Duhallow Blocks and memorial headstones furthest right. 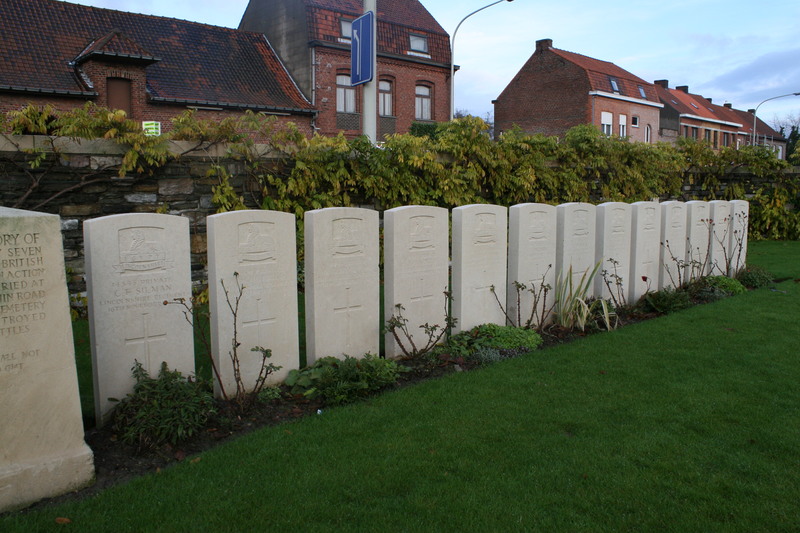 Among the men buried in Row U are a number of Australian tunnellers, killed just east of here on 18th September 1917 when the truck in which they were travelling while taking supplies up to the front line near Hooge was hit by a shell at Hellfire Corner. Twenty three men were killed or wounded in the blast. Panoramic view from the north east corner looking across Plot I. Looking across the whole cemetery from behind the two Surrey graves (just visible far right) pictured in the previous picture. The total number of burials or commemorations in this cemetery exceeds 1600. 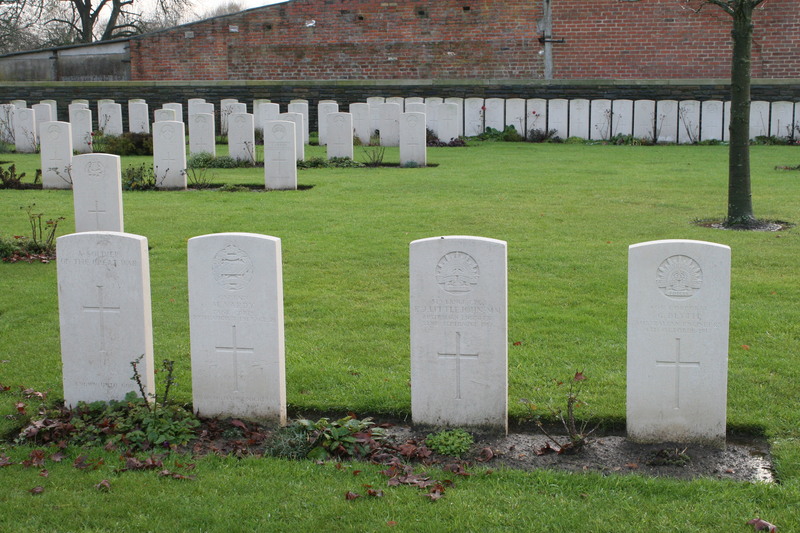 Five Grenadier Guards in Plot I Row E, all killed in early May 1916. Westerly view across Plot II. 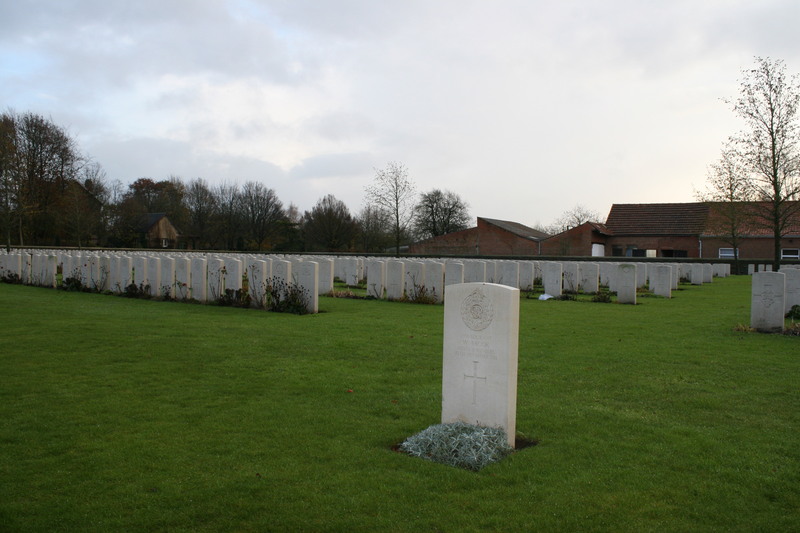 Private Fred Wykes – clearly not forgotten. 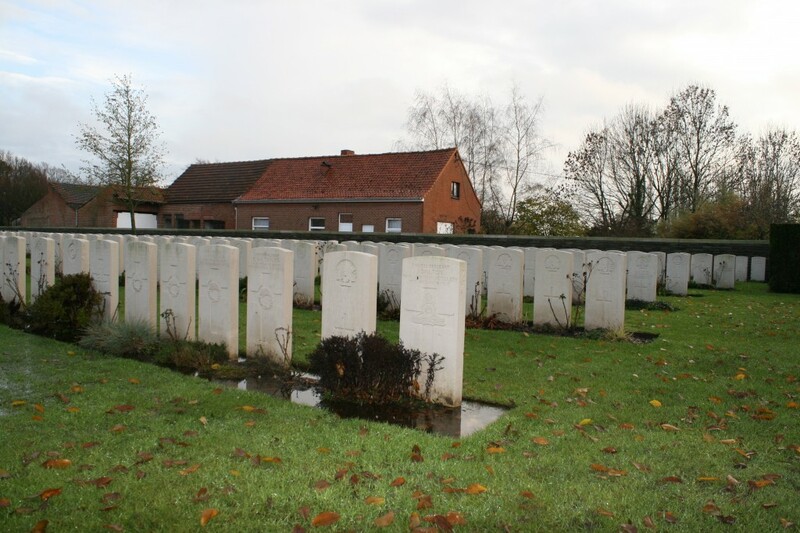 Canadian units used this cemetery whilst holding the line from Hooge to Hill 62 and further south to Mount Sorrell between the spring and autumn of 1916, as you will already know if you joined Baldrick and me on our recent visit to those areas. 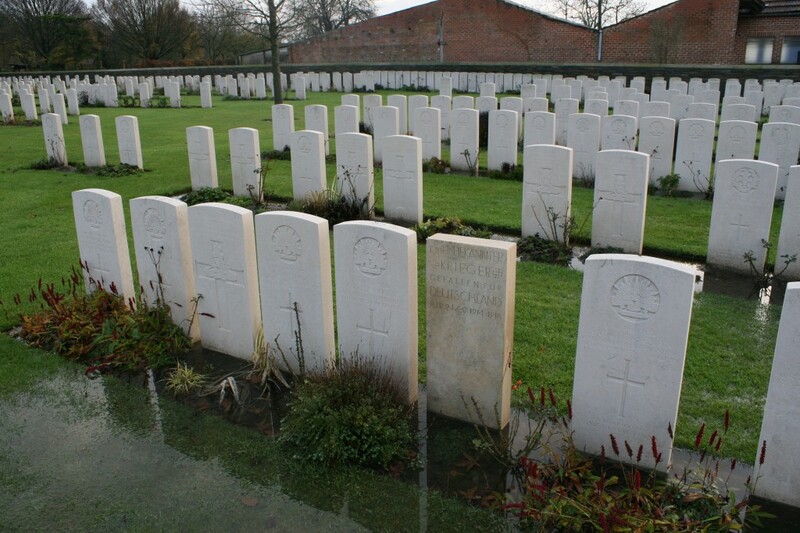 This lone unknown German is buried between two Australians in Plot II Row G. Somebody’s husband, somebody’s son. 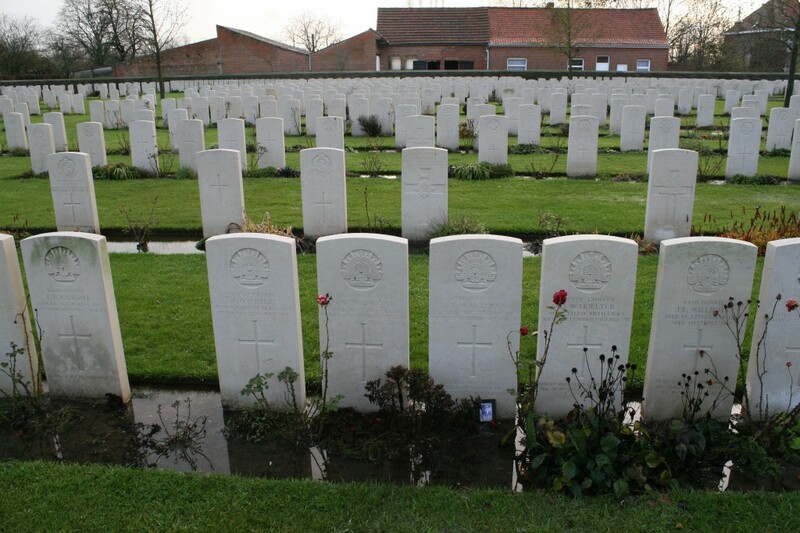 More Australian burials from September and October 1917. 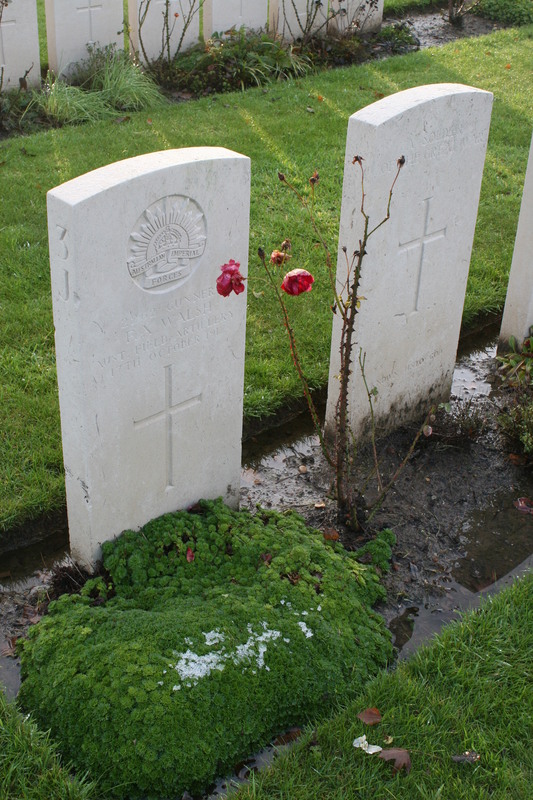 The headstone in the centre of the photograph, that of Lance Corporal C. S. Smith MM, is interesting in that the personal inscription at the base mentions the place of death, which is quite unusual. It’s rather unfortunate that Zillebeke has been misspelled! Plot III. Row I, which contains a number of New Zealand burials from late 1917, is again nearest the camera. 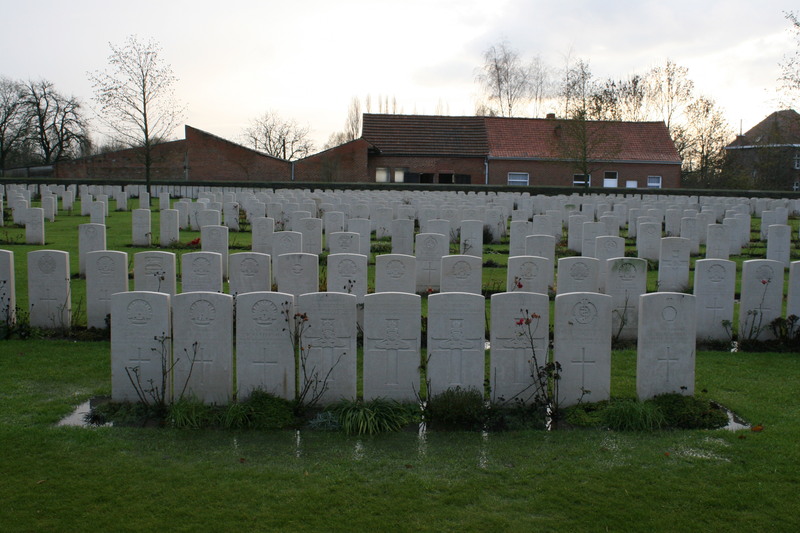 Above & below: These views look east down the rows of headstones in Plot III. You can imagine how appalling conditions must have been here during the winter months all those years ago. 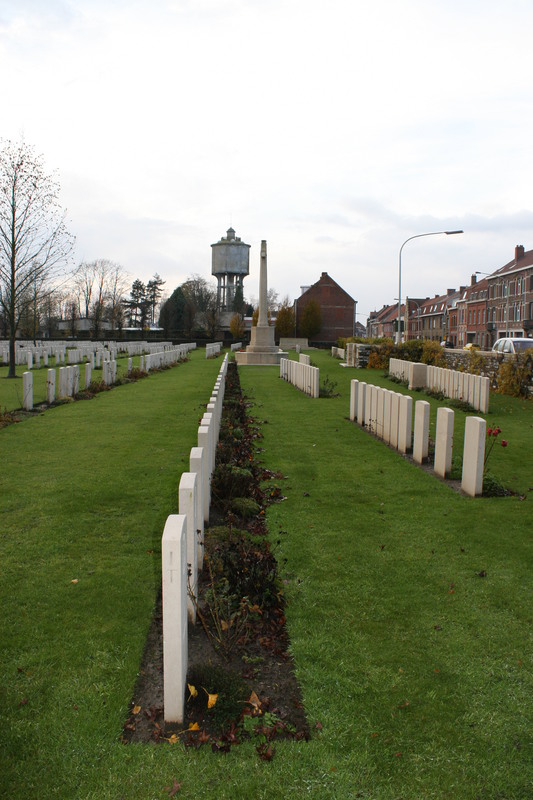 Above & below: Plot III and the western boundary of the cemetery. 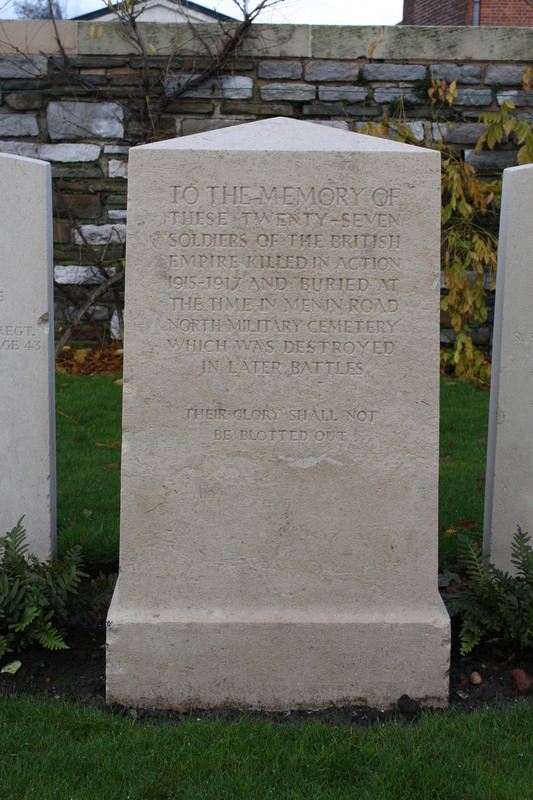 This entry was posted in The Menin Road, Ypres (Ieper). Bookmark the permalink. 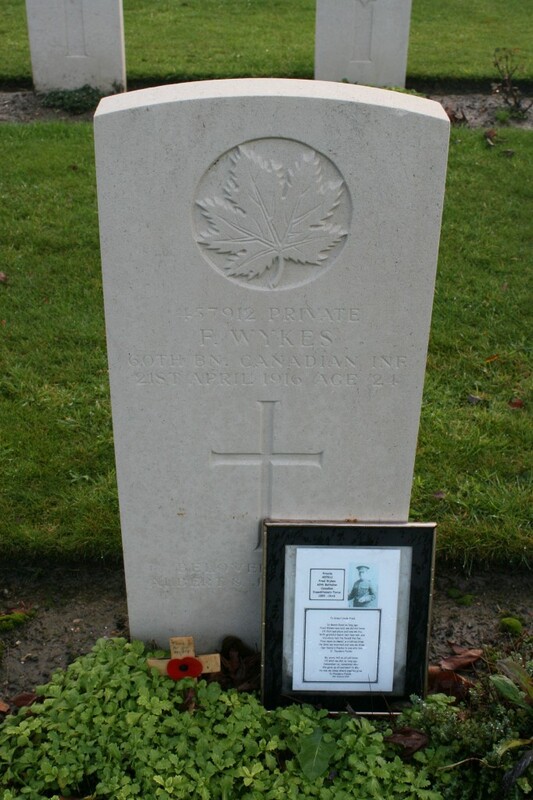 This Sunday 21st of April, is the anniversary of the loss of Private Wykes 60th Battalion CEF you have honored above. We’ll have a wee dram of the Glenmorangie this Sunday in his honor. That’s good to hear John. It hadn’t dawned on me that the anniversary was this weekend. It’s noon April 21st, and I just came back from our city War Memorial where my youngest daughter and I paid our respects in Private Fred Wyke’s memory on the 96th anniversary of his loss. We left a Hershey chocolate bar on the stone as I figure all the soldiers whose names are engraved on the stone would have recognized it. Every story is like an onion my friend…. It has many layers and oft brings a few tears …. Fascinating stuff John. And well put. 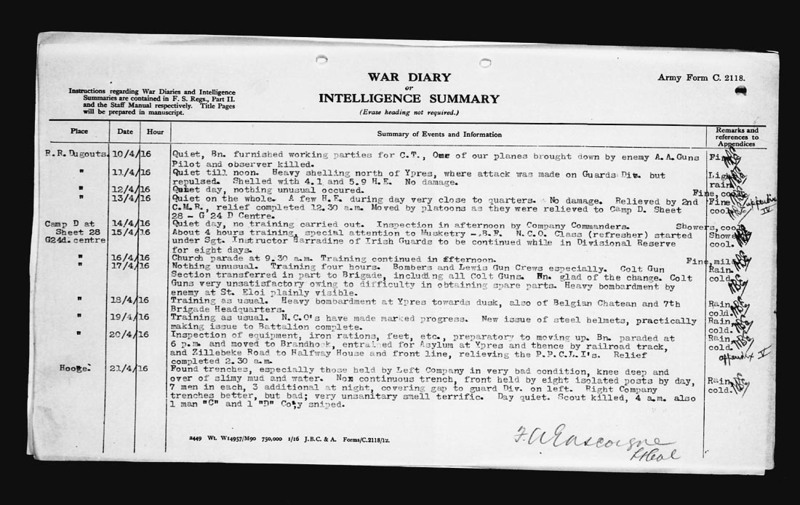 Do you reckon anyone will mind if I actually add the page from the War Diary to the post? I think I shall also add something to point people in the direction of your second comment. I really do appreciate your additions to this post, good Sir. Yes, feel free to use the links, they are both publicly available. One piece of errata, in my haste I overlooked three “fine” days amongst the rain reports. So, it rained seven of the ten days prior. It still does give reason to the Lt.Col.’s description of the hideous condition of what are really just remnants of a trench. The BBC report I would surmise might give a clue to the origin of the framed picture and poem at Pvt. Wykes grave. One small hint to the War Diary link I left. If you subtract or add “one” 1 from the last digits before the “dot jpg” at the end of the link, ie …719.jpg or …721.jpg you will get the diary page period before, and after the original dates. I was born and raised in Quorn and was aware of Fred Wykes – does anyone have a family tree that could help me find how I am related to Fred. As I say, my maiden name was Linda Wykes. My father was Eric Verdun Wykes. My grandfather Herb was his brother. Herb named two of his children after his brother: Amy Freda and Fred. So good to know Fred is still remembered. Did you by any chance know Eileen Wykes? She lived in Toronto? 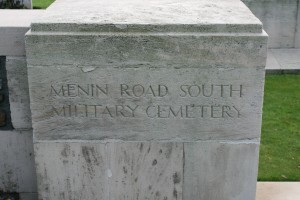 I saw the Menin Road South info for the first time this morning. What an excellent series of pictures and information. Allow me to add some information about Fred Wykes. My great Grandfather John Wykes and Fred’s father Albert were brothers. My maternal grandmother Florence Burnham (nee Wykes) was John Wykes’ daughter. She was also the sister of Eric Verdun Wykes, Linda Chanter’s father. My mother Betty and Linda were cousins. As a small boy, I always looked forward to Uncle Eric coming to visiting his sister (my grandmother) – he usually bought me an ice cream! I have done some considerable research on Fred Wykes, which I am happy to share. My research started when I got to know Fred’s great niece Eileen Wykes of Toronto. We became great friends – sadly she died in 2006. The picture placed on Fred’s grave was done by me. We are frequent visitors to Fred’s grave. In 2012 we visited Fred’s grave on 21st April. 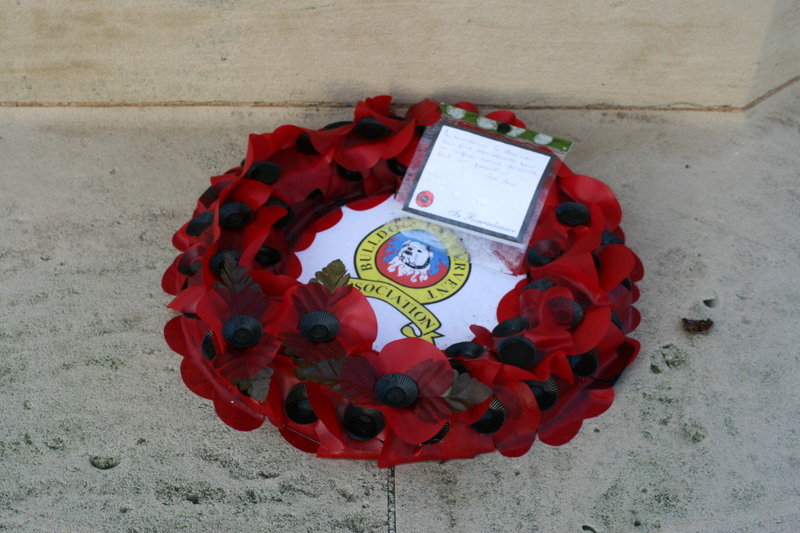 We had the privilege of also laying a wreath in memory of Fred during the Menin Gate ceremony later on the same evening. 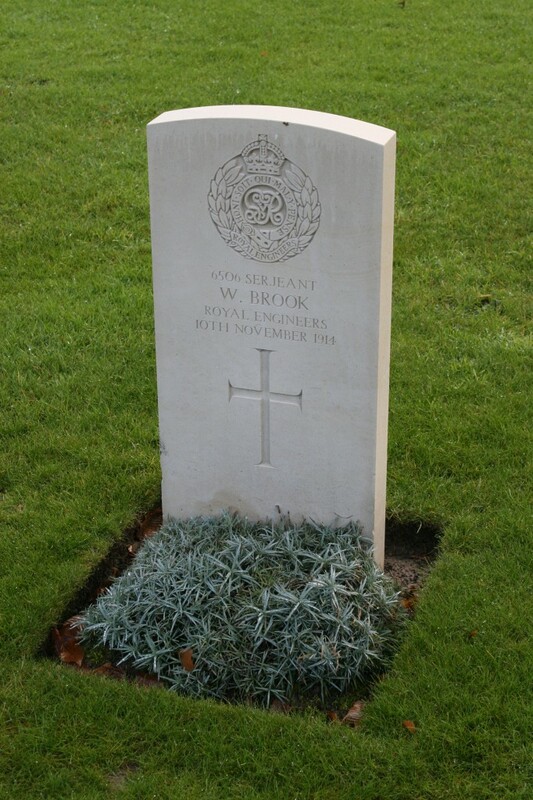 We hope to visit Ypres again in April 2016 to visit his grave on the 100th Anniversary of his death. It was exciting to see the posts from John, Linda and Linda. I’m more than happy to share all that I have about Great Uncle Fred together with the family tree stuff I have. 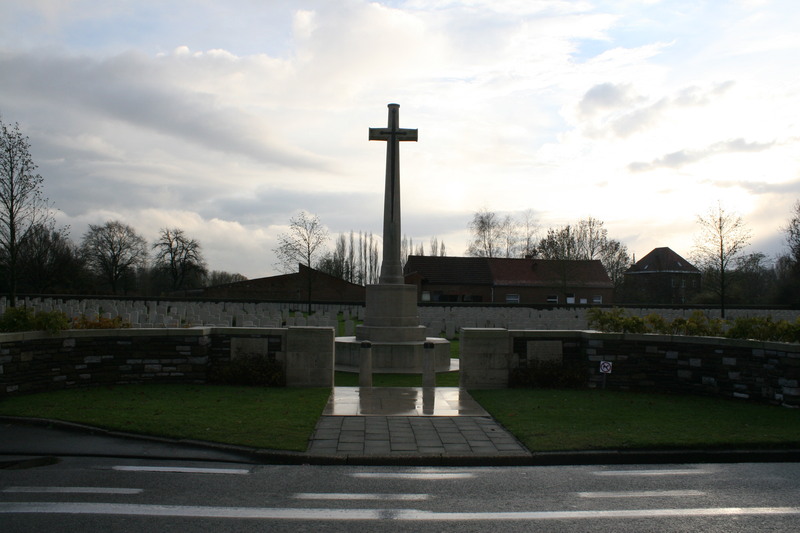 Wouldn’t it be great to all meet in Ypres in April 2016! That’s brilliant, John. Thank you very much for your comments. So glad you enjoyed the post, and really pleased that I photographed Fred’s headstone in the first place! If you wish to add anything more about Fred please feel free. The other John frequently checks in, so hopefully he will see your comments sooner or later. The Lindas I do not know, apart from their recent comments above. Hopefully they will also see your comments. Assuming they also check back here at some point. Fingers crossed. 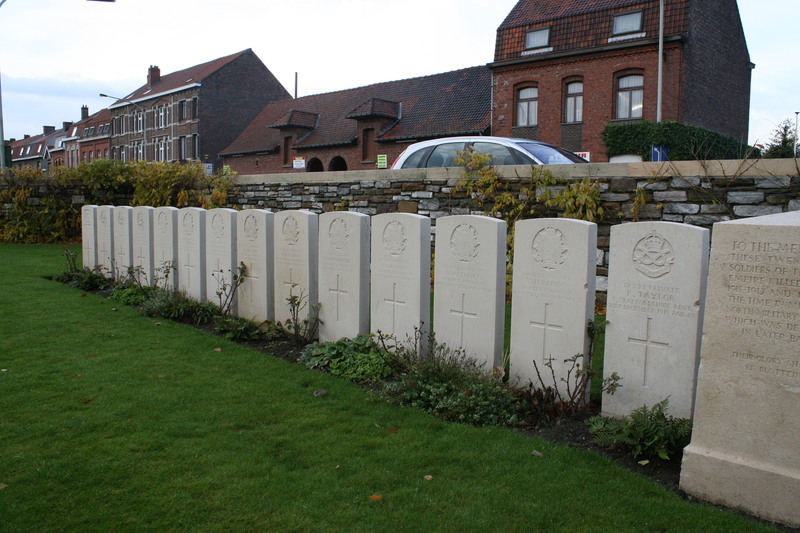 Yes it would be good to meet up in Ypres in 2016. Do you have any idea why my father, Eric had the middle name Verdun? As a child I got the impression that it was something to do with a relative who died there in WW1. I’ve often wondered. I’m not exactly sure about this. The work that Eileen did shows your Dad as being borne in 1917. Eileen’s theory was that he was named after the Battle of Verdun in which one of our relatives fought. There’s a couple of problems with this theory! The Battle of Verdun started in February 1916 and ended in December 1916. As far as I’m aware no British forces fought in in the Battle of Verdun. It was a French battle. Unless the date of 1917 is wrong for your Dad’s birth year, I can only assume that perhaps the Battle of Verdun was raging whilst Elizabeth Ann (Your Grandma, my Great Grandma) was carrying your Dad. What was the exact date of your Dad’s birthday? As I write this, I have a copy of the family tree for all of the John William Wykes and Elizabeth Ann Wykes family in front of me. I also have the family tree for Fred Wykes. John Wykes (your grandfather and my great grandfather) and Albert (Fred’s father) were brothers. Therefore, Albert was your Dad’s uncle which makes Fred Wykes your Dad’s cousin. You therefore are Fred’s 2nd cousin. He would also have been my Mum’s (Betty) 2nd cousin. This makes him MY 3rd Cousin. Perhaps we should get together sometime and I can share with you all the work Eileen did on the family tree and the research I’ve done on Great Uncle Fred. I assume you still live in Leicestershire and I live now in Northamptonshire so we’re about 30-40 miles apart. Cindy (my wife) and I would be happy to come up if you like. Let me know. Trying to contact you via a few different ways! Did we meet at the family get together organised by Eileen in August 2005? Kelly and Dean sent me a picture of everyone – are you on that? Oh yes! Of course we met. Glad to be in touch again. Does anyone know which medical unit were running the aid station in Dec 1915 -Jan 1916? 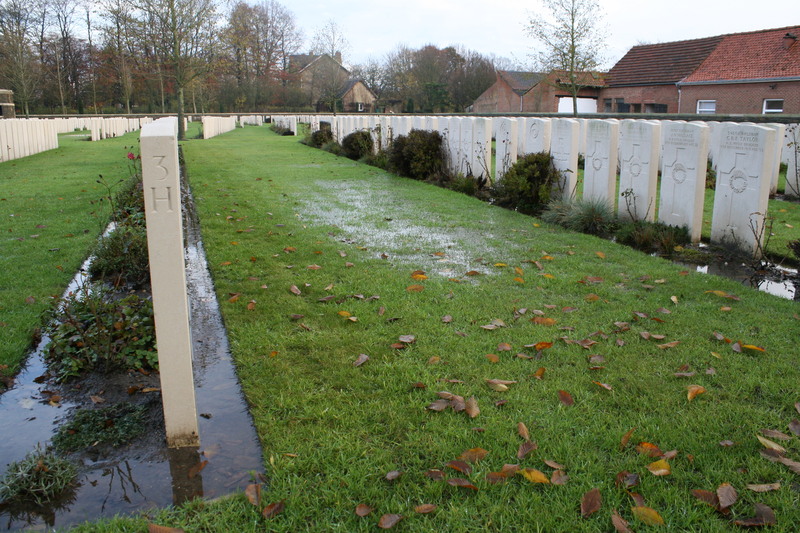 I am looking for records of the death of James Mason who died on 19th Dec 1915 at the aid station. A special day on Thursday, 21st April 2016, when my wife and I visited Great Uncle Fred Wyke’s grave on the 100th anniversary of his death in 1916. Whilst at Menin Road South we also laid a wreath on the grave of TR Colyer Ferguson VC on behalf of the Northamptonshire branch of the Western Front Association. Sounds like a very special day John. Will the next WFA Bulletin feature anything? Yes! Once I’ve downloaded the pictures from my smartphone and camera. I’ll post something on here as well if that’s OK. Watch this space!! 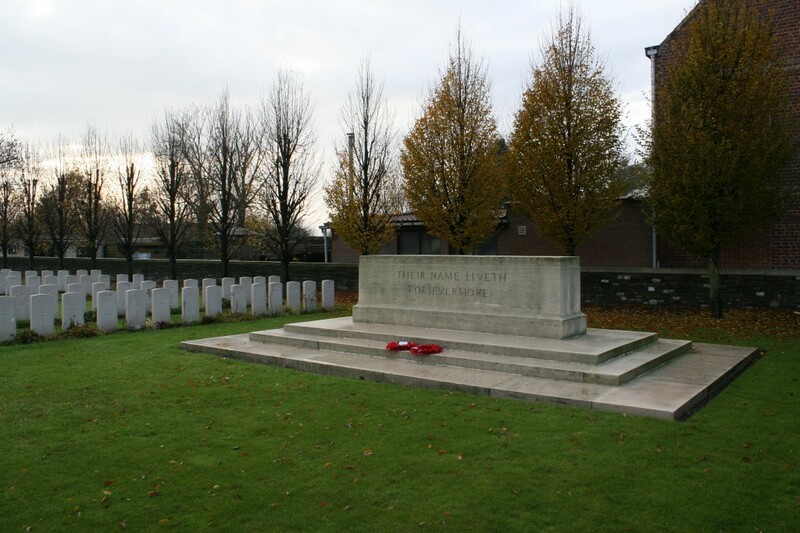 We will be visiting the Menin Road South Cemetery in April 2017, just after we attend the Vimy Ridge 100th Anniversary ceremonies. 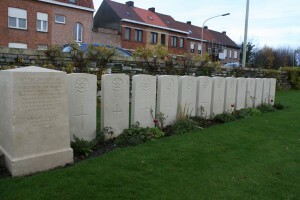 Specifically, to visit the headstone of Pte. Frank Hirtle, RCR who was a cousin of my grandmother in Nova Scotia. Hopefully, his final resting place will not be under water like in some of the pictures above. John, we were going to put some pictures up, were we not? Still happy to do so if you wish. Thank you for the gentle reminder! We’ve been so busy I forgot to post the pictures! I’ve now downloaded them so no excuse! Later in 2016 we visited the Aisne battle field where one of my wife’s great uncles was killed. We took a lot of pictures around that area – would you be interested in me posting those? If yes, where should I put them? Also can you remind me of the procedure for posting pictures on the website? You’re welcome! As I am off to Cornwall for ten days, there’s no hurry. Actually, you can’t post them John, but if you allow me to email you off-site (I have your address) then you can send them to me (or Dropbox them) and I will add some to the post. I would love to see the Aisne ones too, but out of personal interest, not to publish them. You will understand that this site, being mine, only features places that I have visited; as I mention in my intro to the site, it’s my online photograph album. Nice to know that you’re an optimist Bob. At least you now know, if you didn’t before, that Menin Road South is prone to flooding, so be prepared. Have an excellent trip – by the way you are not the only person who visits this site who is going to be at the Vimy Anniversary ceremonies. 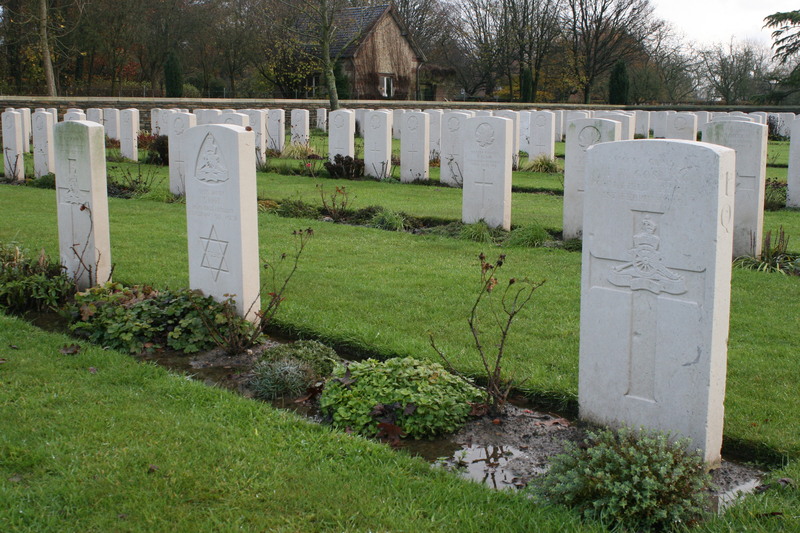 I know that Steven Oliver, who has posted a comment in the past few hours on today’s brand new post about Sanctuary Wood Cemetery, is coming over from Canada and will be at Vimy. I envy you both. Our family lost five members in WW1. 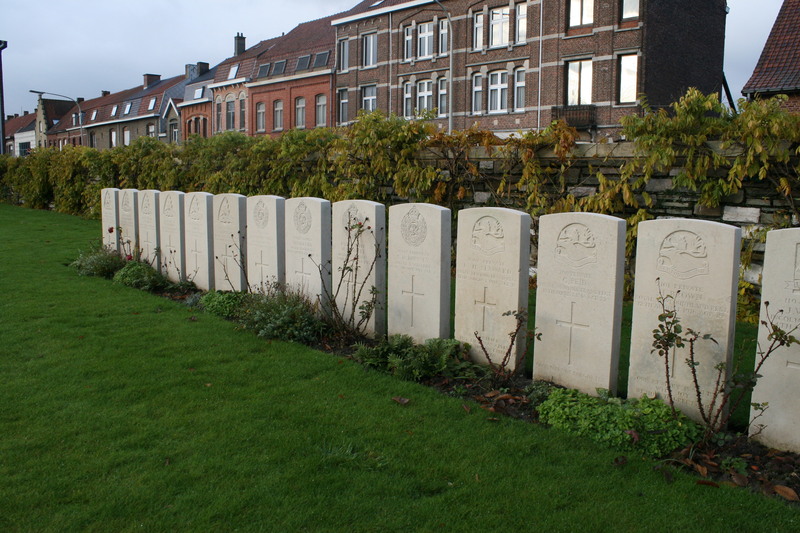 Frank Hirtle is the only one in Belgium. The rest are in France. So I feel it’s my duty to visit them all and pay my respects in April. That time of the year maybe I should bring some rubber boots, eh. 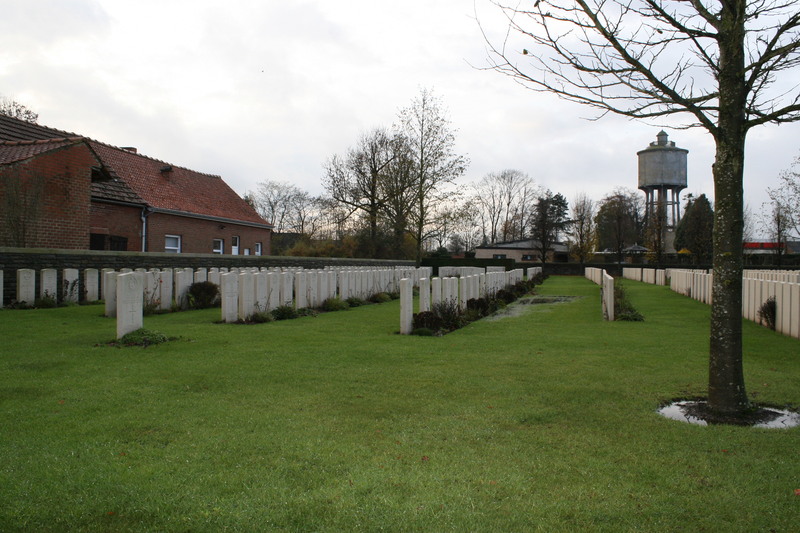 Well to be honest I have never done an April trip, but as I live, across water and land, I reckon no more than 170 miles away from Ieper, yes, rubber boots advised, or very good walkng boots. Belgian weather, English weather, it’s all much the same. Five family members is five too many. 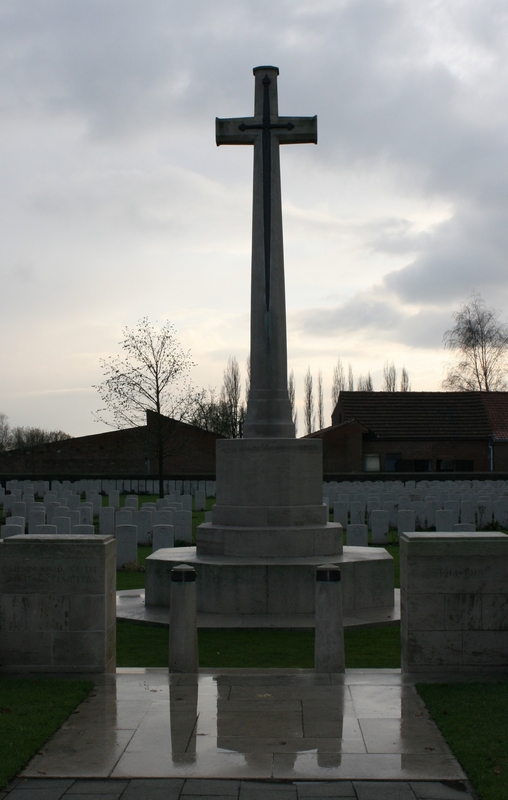 There are sections elsewhere on this site on the Somme and Arras that might be of interest. John, am home. I believe I was in Cornwall, but most of the time the sea mist meant it could have been anywhere!! Anyway, if it’s okay, I will email you and we’ll sort out some photos. Thanks for that Ron. It’s nice to know of another man who hasn’t been forgotten.